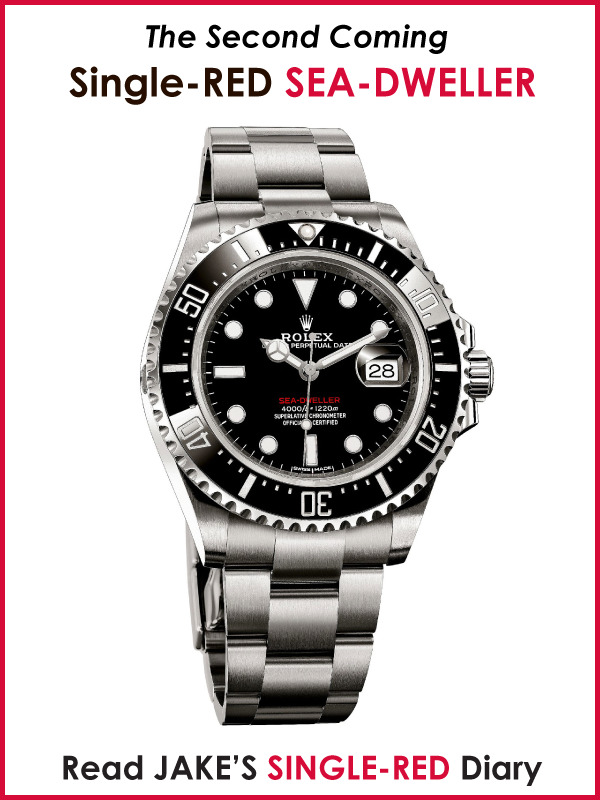 John Hamm plays Donald Draper on the TV mega-hit, MAD MEN, and in the season premier for this 4th season, which aired yesterday, I noticed for the first time he was wearing a Rolex Explorer!!! 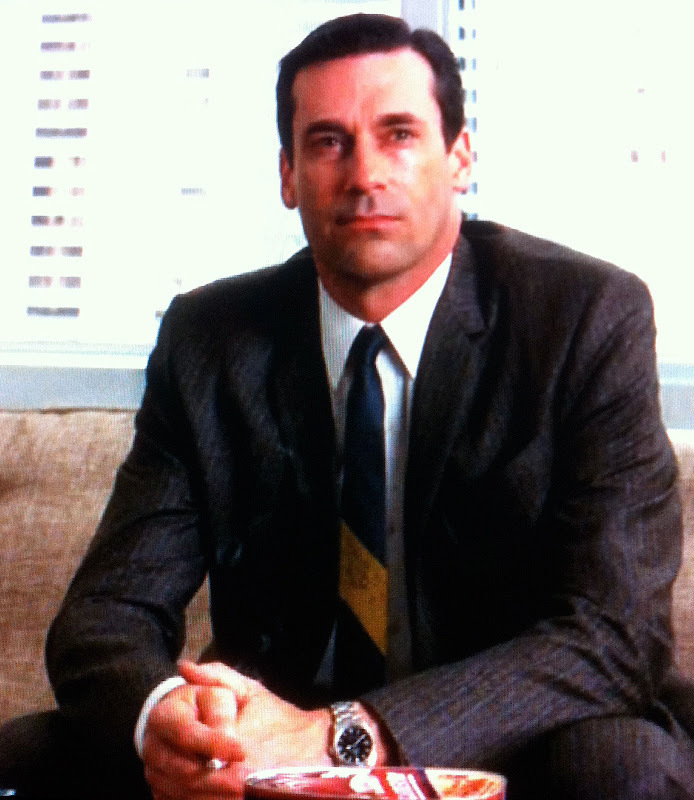 If you are not familiar with MAD MEN, it is produced by one of the producers from the Sopranos. 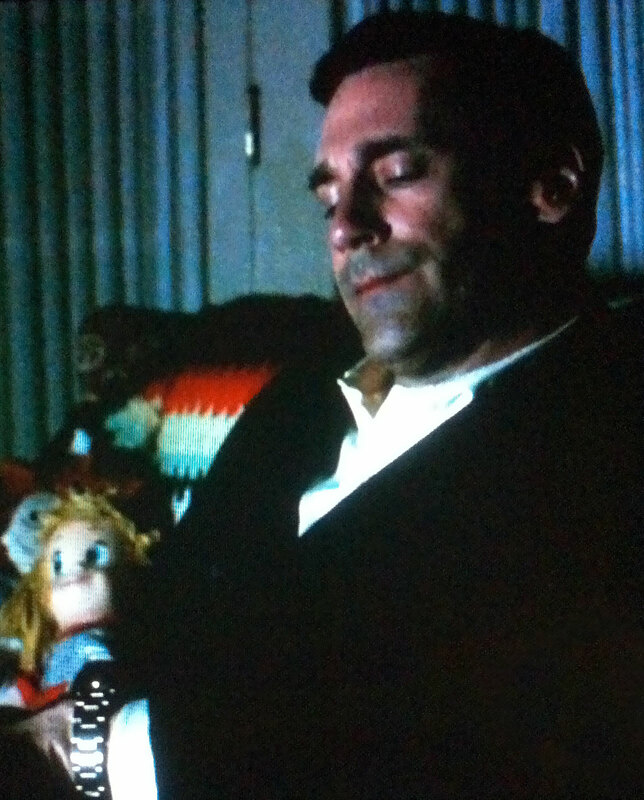 Joh Hamm is an amazing actor, and on MAD MEN, which is set in the early 1960s in New York, on Madison Avenue, he plays an ad executive. 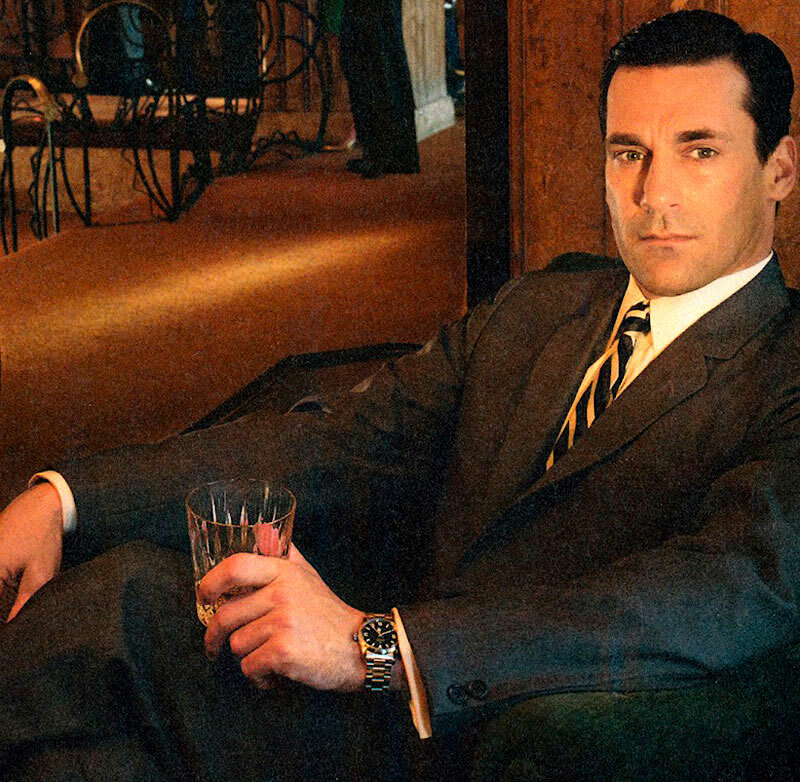 If you have never seen MAD MEN, I very highly recommend it. 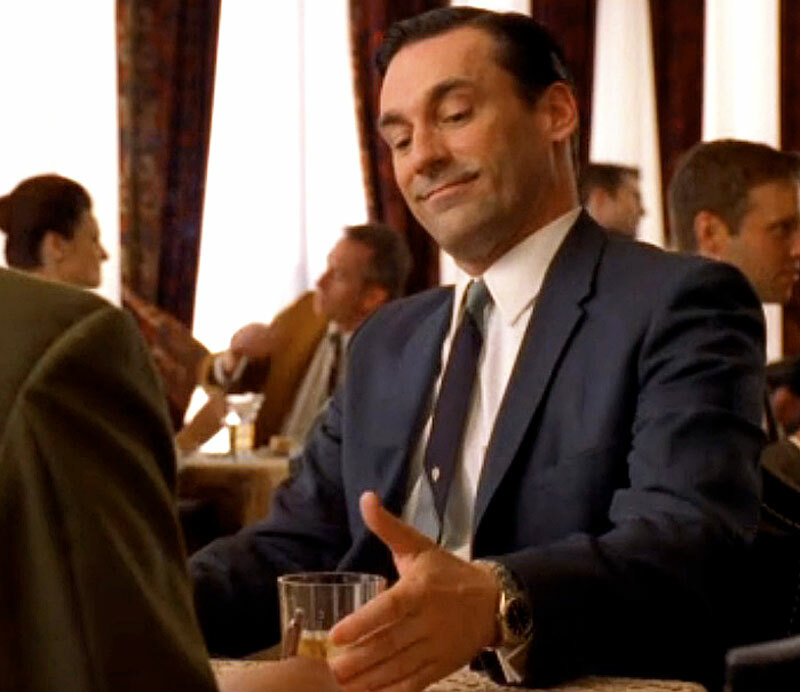 I turned Leo onto MAD MEN last year and he freaked out and watched all 3 seasons–on DVD–back to back to back!!!! 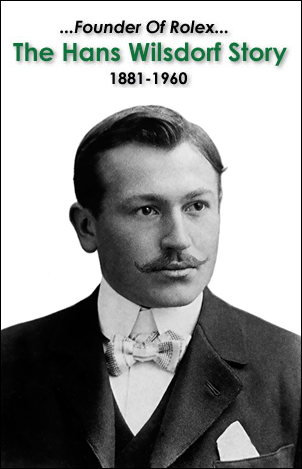 In a bizarre twist of fate, Jon Hamm is currently staring in a movie where he plays my namesake grandfather, Jake Ehrlich Sr. You can learn more about this film and John Hamm playing my grandfather Jake, in the movie Howl. There have been other actors on past seasons of MAD MEN who wore Rolex, but never the star, Jon Hamm. 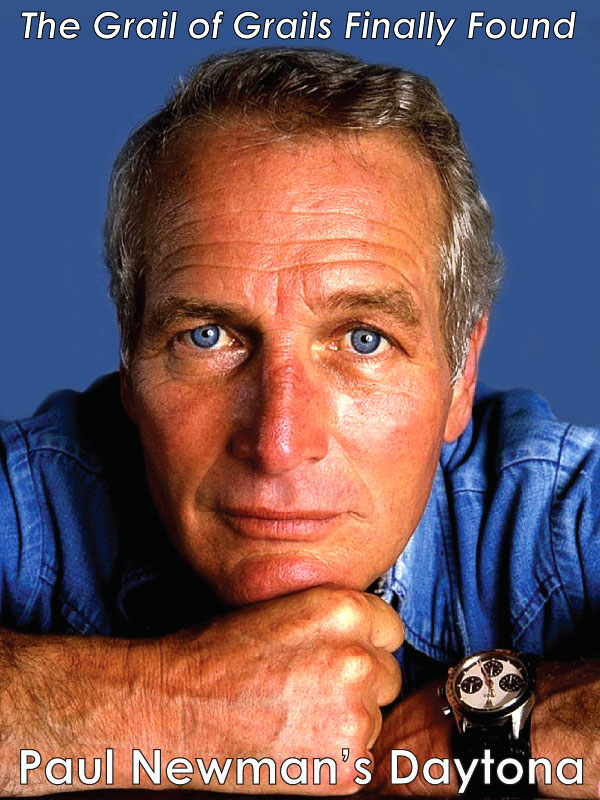 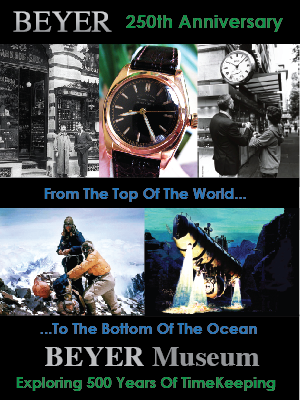 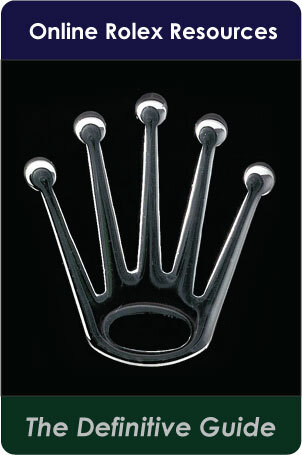 He is wearing a stainless steel Rolex Explorer in the photo above and below. 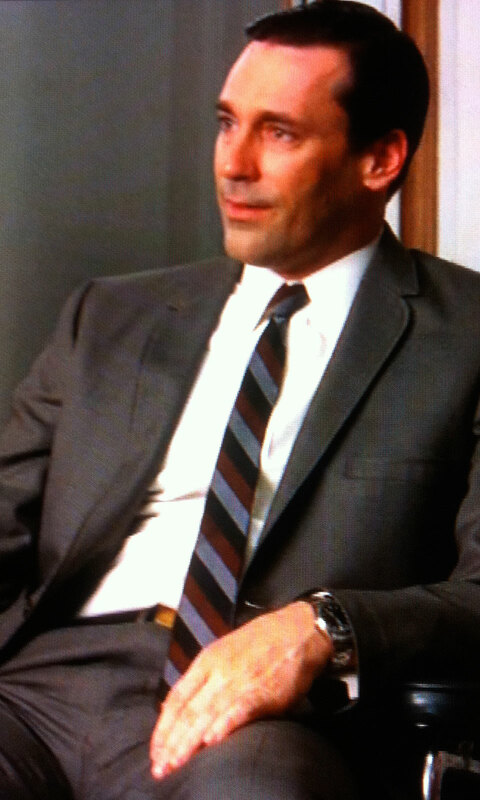 In the photo below from the Season 4 opener of MAD MEN, we can definitely make out the Rolex Oyster bracelet. 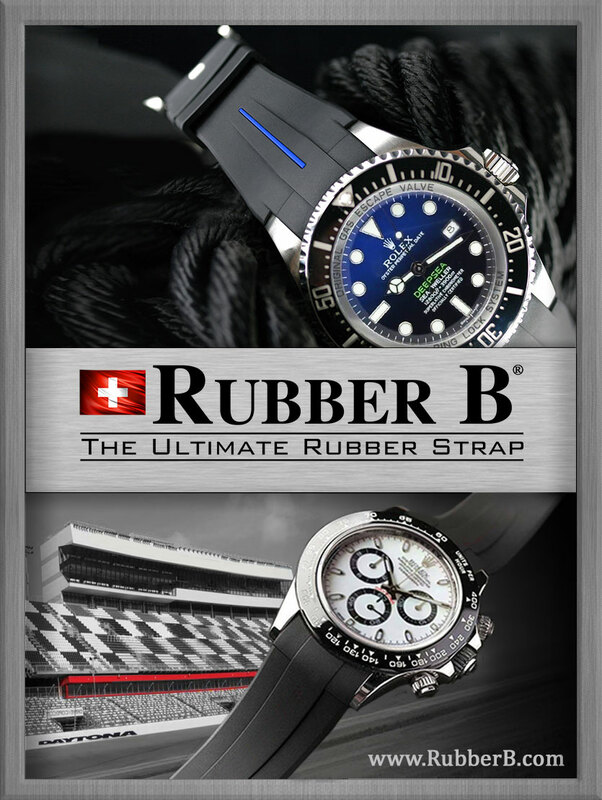 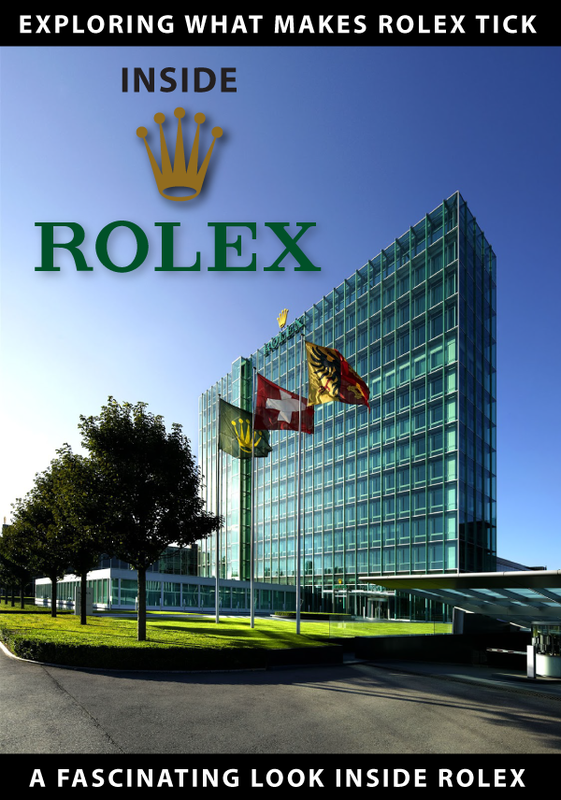 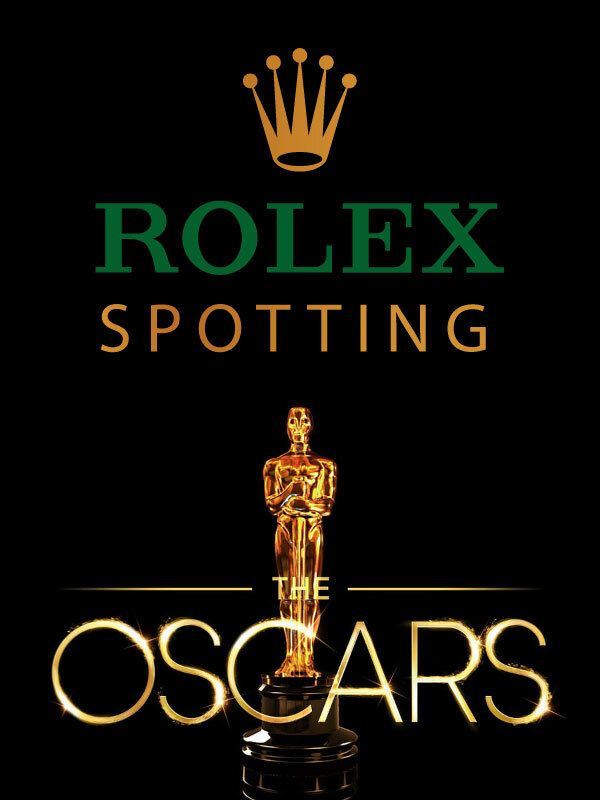 It is also interesting to note that I remember one of the main characters last season talking about how they wanted to get Rolex as an account for their advertising agency. 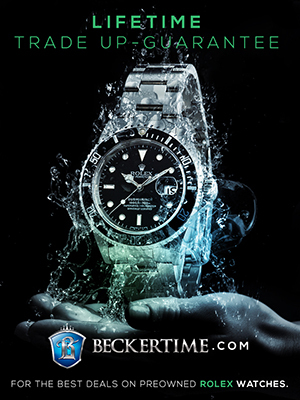 Last year, I wrote a huge writeup about how Jon Hamm's wife on MAD MEN, played by January Jones wears a stainless Rolex Daytona and I also did an overview of the show. 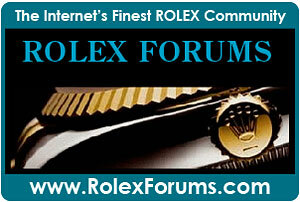 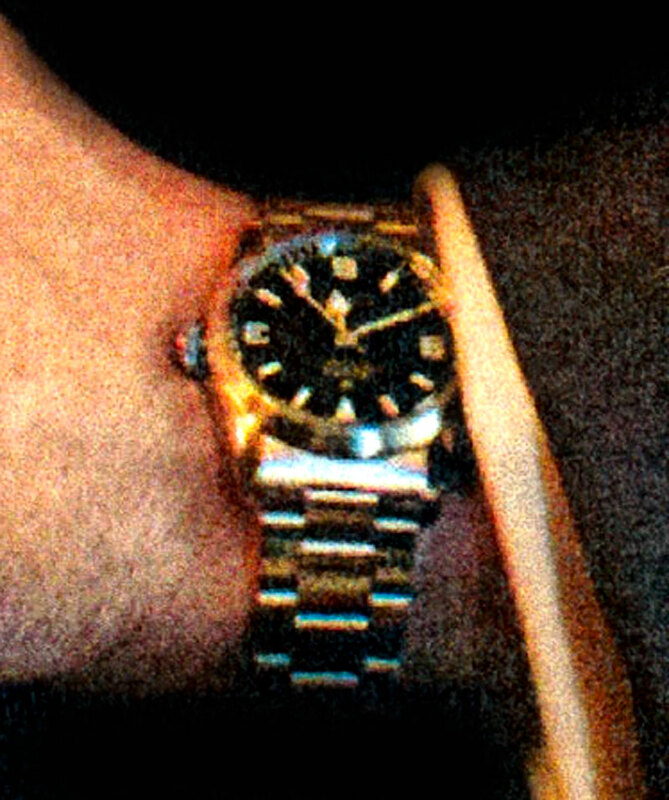 In this next photo we get a clearer shot of the Rolex Explorer on Donald Draper's wrist. 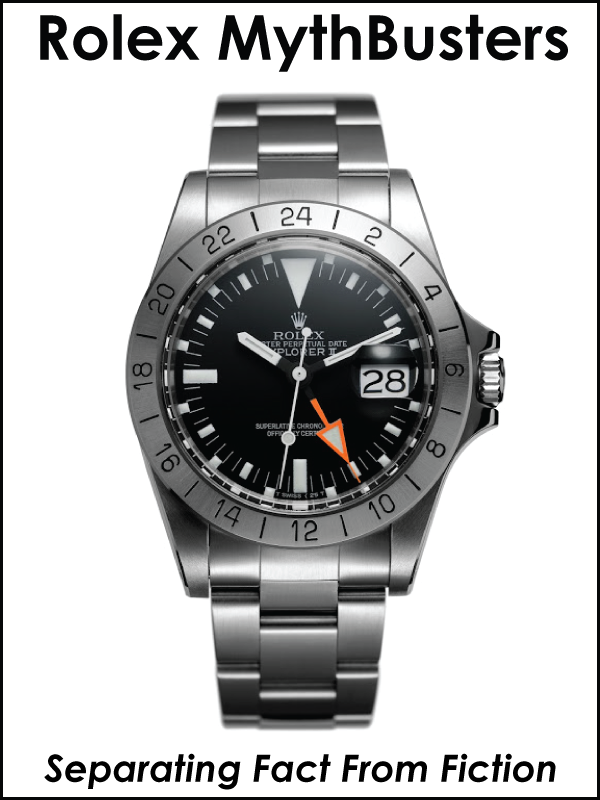 In the photo below, we see the watch in the photo above, zoomed-in significantly and we can make a positive I.D., and confirm it is a Rolex Explorer since we can make out the 3, 6, and 9 Arabic markers on the dial.